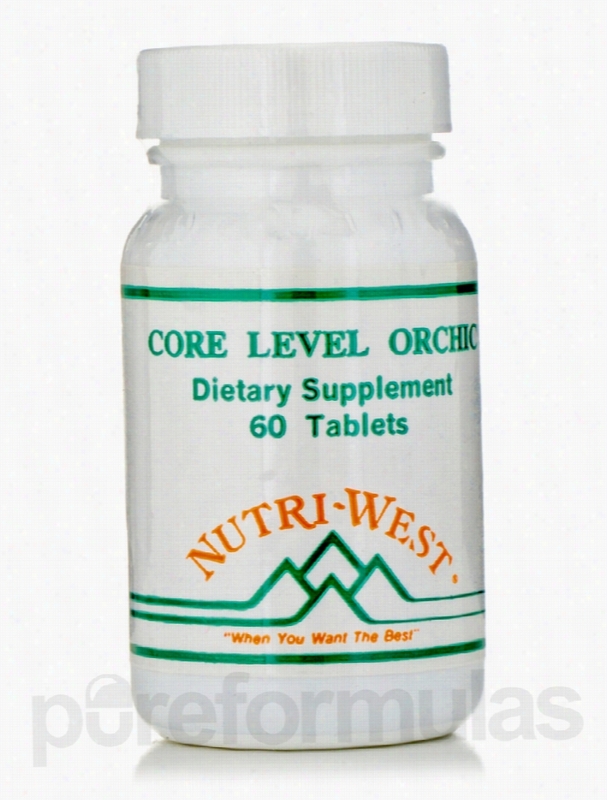 Nutri West Men's Health - Core Level Orchic - 60 Tablets. Offering possible nutritional support for men&sbquo; Core Level Orchic from Nutri West features a wide variety of ingredients&sbquo; including concentrates of certain glandular tissues like orchic (cattle testicles). Other ingredients in Core Level Orchic include: Zinc Most people have heard of zinc&sbquo; but not everyone is aware that it's an essential mineral. Being an essential mineral means that our bodies absolutely require it in order to maintain function. Zinc specifically may help maintain ocular health since one of the highest concentrations of zinc in our bodies is located in our eyes. The reason why Core Level Orchic features zinc is because low levels of this essential mineral may be associated with male infertility&sbquo; suggesting a possible link between proper zinc levels and male health. Hesperidin Often derived from citrus fruits&sbquo; hesperidin is technically a plant pigment known as a bioflavonoid. Research and studies have suggested that a bioflavonoid may not only act as an anti-inflammatory&sbquo; but as an Antioxidant as well. An antioxidant is any substance that has the ability to seek out and eliminate free radicals&sbquo; atoms that feature incomplete covalent bonds. This means that they (free radicals) could potentially pose health risks. Pantothenic Acid Also known as vitamin B5&sbquo; this essential nutrient is responsible for contributing to the healthy function of numerous body parts and bodily process like the appropriate processing of carbs&sbquo; proteins and more. Vitamin A As another essential nutrient&sbquo; maintaining healthy vitamin A levels is crucial for our health. In addition to the other potential health benefits that vitamin A may offer&sbquo; Core Level Orchic has included this nutrient because it has been used to possibly help raise sperm count. Click the &quot;Ingredients&quot; tab above to get a full list of Core Level Orchic's ingredients. Nutri West provides nutritional supplements to health care professionals in order to optimize their patients&rsquo; well-being. It was founded in 1981 and has expanded into a worldwide company with state-of-the-art&sbquo; environmentally-friendly manufacturing and packaging processes. Its products are hypo-allergenic and have been formulated for the highest quality. These statements have not been evaluated by the Food and Drug Administration (FDA). These products are not meant to diagnoseÃ¢ÂÂ treat or cure any disease or medical condition. Please consult your doctor before starting any exercise or nutritional supplement program or before using these or any product during pregnancy or if you have a serious medical condition. Progressive Labs Cellular Support - Alpha Lipoic Acid - 60 Capsules. Interested in an alpha-lipoic acid supplement? Individuals in good health should make enough alpha-lipoic acids; however&sbquo; if your health isn't ideal&sbquo; or if you have a condition that could benefit from an alpha-lipoic acid supplement&sbquo; then Alpha Lipoic Acid from Progressive Labs might be just what you need. Alpha-lipoic acid is an antioxidant&sbquo; meaning it can possibly eliminate free radicals&sbquo; molecules with unpaired valance electrons that can possibly harms cells in our body. Alpha-Lipoic acid is found in every cell of our body and plays a role in energy creation on the cellular level by converting glucose into usable energy. Alpha-lipoic acids are also unique among most other antioxidants due to the fact that they are both water-soluble and fat-soluble. The difference between water-soluble and fat-soluble determines how the drug or substance will affect the body as well as where . Fat-soluble substances are also noted for being able to be stored in the body's fat. 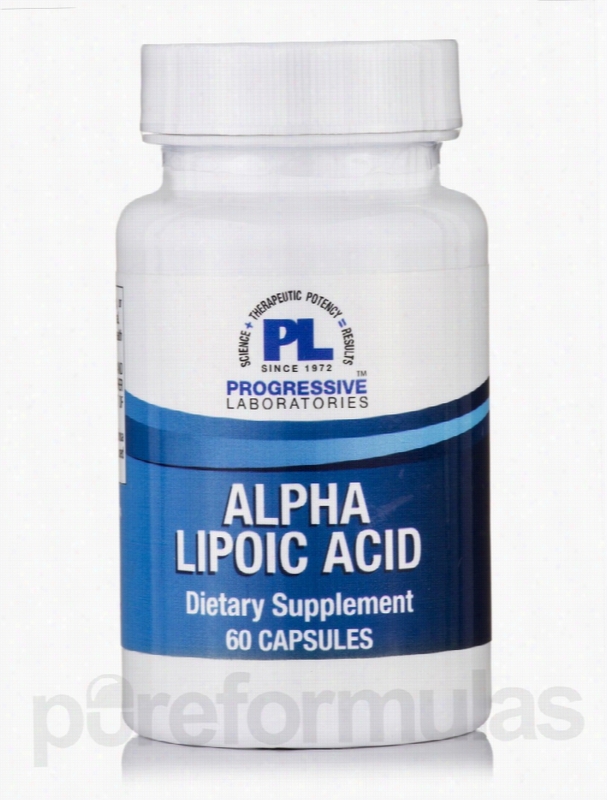 For Progressive Labs' alpha-lipoic supplement&sbquo; being water and fat-soluble means that the possible antioxidant effects of an alpha-lipoic acid supplement can work anywhere in the body. Alpha-lipoic acids have also been implicated in possibly helping to treat type 2 diabetes by lowering blood sugar levels and improving insulin resistance. It's also been suggested that they can reduce the symptoms of diabetic nerve pain with their ability to eliminate free radicals. Progressive Labs' has also included into the formulation of thier alpha-lipoic supplement-BioPerine&reg;&sbquo; an extract that increases the bioavailability of the nutritional supplement its paired with. Bioavailability is the rate and extent of which a substance becomes available once it enters the body. Progressive Labs has been a family owned manufacturer and distributor of nutritional supplements for 40 years. Progressive Labs has supplied over 25&sbquo;000 customers with professional grade Vitamins&sbquo; herbals&sbquo; and dietary supplements. These statements have not been evaluated by the Food and Drug Administration (FDA). These products are not meant to diagnoseÃ¢ÂÂ treat or cure any disease or medical condition. Please consult your doctor before starting any exercise or nutritional supplement program or before using these or any product during pregnancy or if you have a serious medical condition. 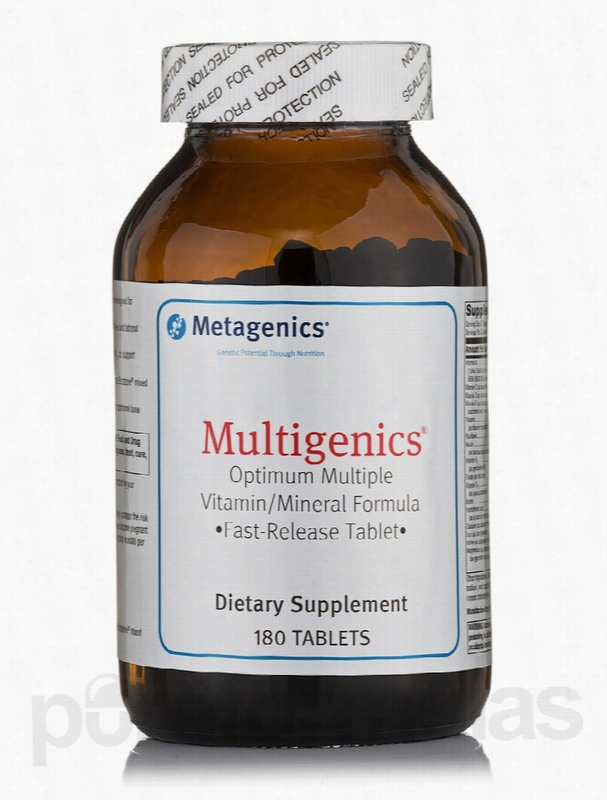 Metagenics Minerals - Multigenics - 180 Tablets. 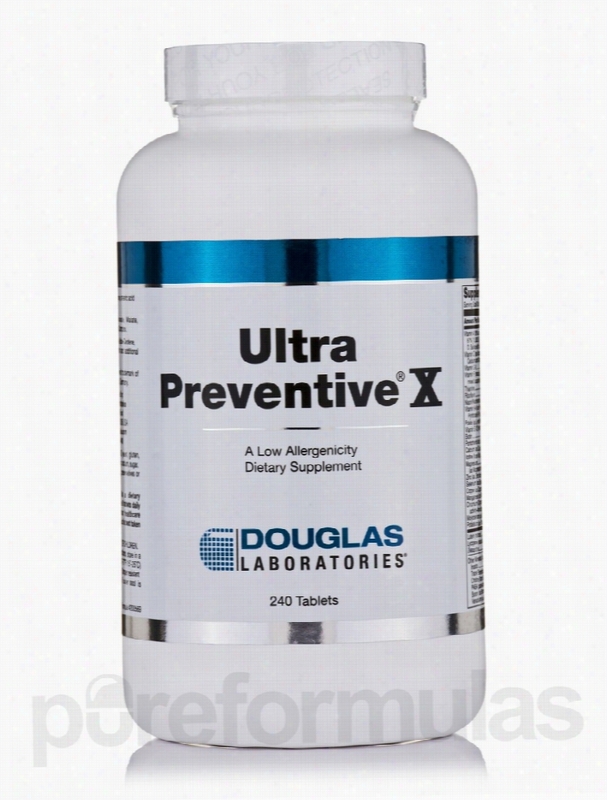 Douglas Laboratories Cardiovascular Support - Ultra Preventive X - 240. Country Life Children's Formulas - Maxi Baby Dophilus - 2 oz (56. 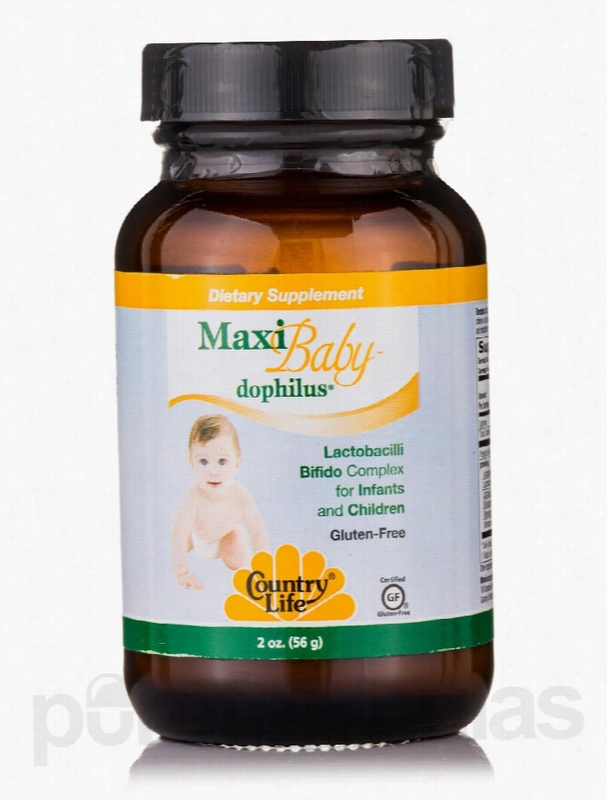 The Maxi Baby Dophilus 2 oz from Country Life&reg; is known to be a Lactobacilli Bifido complex to help support Nutritional needs of infants and children. It is known to contain a probiotic blend of lactobacillus and Bifidobacterium complexes&sbquo; which may aid in giving nutritional support to young children. This dietary supplement from Country Life&reg; may aid in supporting the digestive system and health of the body. It is also known to aid in prevention of skin conditions in infants and children. This supplement formula is known to mix easily with infant formula&sbquo; juice&sbquo; water&sbquo; or foods. Researchers believe that this complex is known to deliver three billion colony forming units (CFU) per gram&sbquo; at the time of manufacture. A regular usage of this complex supplement may help children in general health maintenance and nutrition. This dietary supplement is GMP certified and is free from gluten&sbquo; preservative&sbquo; salt&sbquo; soy&sbquo; starch&sbquo; wheat&sbquo; yeast&sbquo; artificial color and artificial flavor. Get the Maxi Baby Dophilus 2 oz from Country Life&reg; and give the best nutritional support to children. These statements have not been evaluated by the Food and Drug Administration (FDA). These products are not meant to diagnoseÃ¢ÂÂ treat or cure any disease or medical condition. Please consult your doctor before starting any exercise or nutritional supplement program or before using these or any product during pregnancy or if you have a serious medical condition. 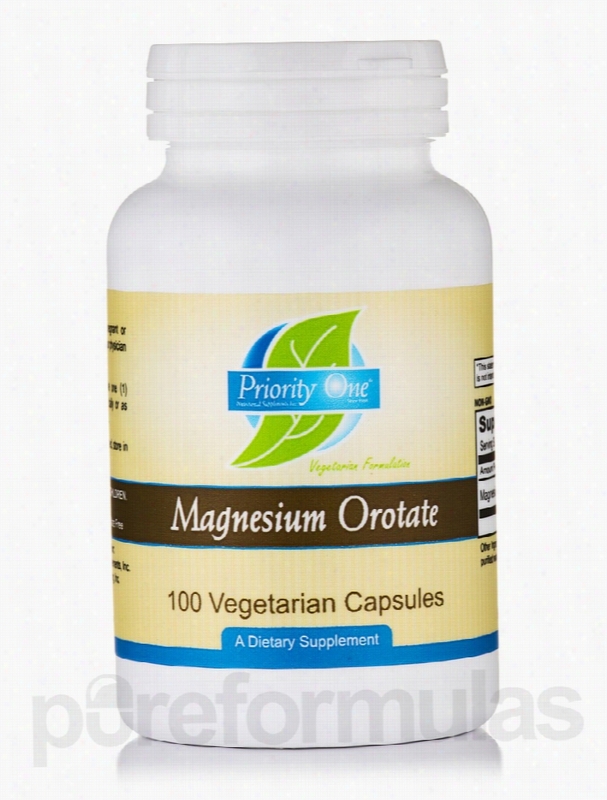 Priority One Cardiovascular Support - Magnesium Orotate - 100. Nutri West Children's Formulas - Complete Children's Co-Factors - 60. Ensuring the proper intake of omega-3 fatty acids is only one part of the equation. The other part is ensuring the proper absorption. This may be especially true for a child's growing Body. 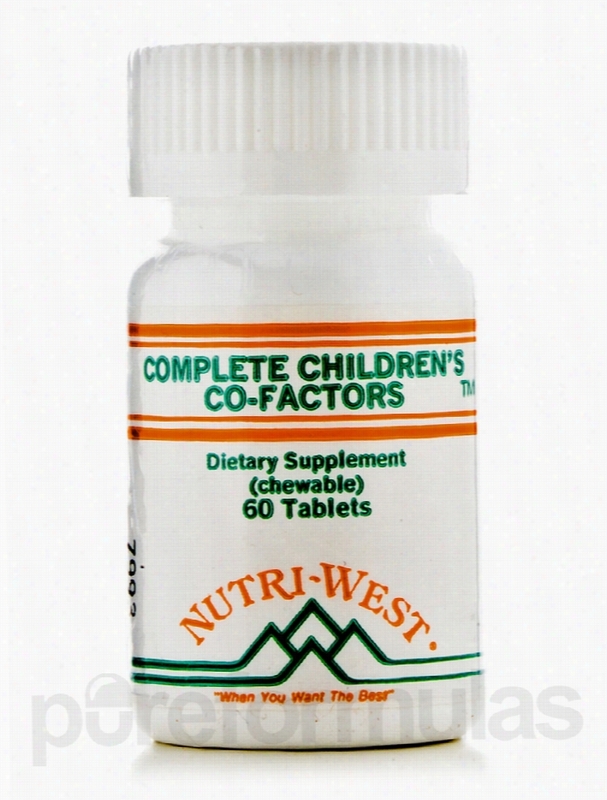 That's why Nutri West has formulated Complete Children's Co-Factors&sbquo; a nutritional supplement that may help the effectiveness of omega-3 fatty acids while promoting general health and wellness. Here are some of the ingredients you'll find in Complete Children's Co-Factors: Vitamin B12 This essential vitamin is vital for ensuring the health of the brain&sbquo; nerves&sbquo; and blood cells. In fact&sbquo; if blood cell health is compromised&sbquo; a condition known as anemia may occur. Anemia is characterized by the low levels of hemoglobin (red blood cells)&sbquo; which transport oxygen from the lungs to the rest of the body. Vitamin C Most famously used as a possible immune system booster&sbquo; especially during cold and flu season&sbquo; vitamin C plays numerous health related roles in the body. Vitamin C may improve iron absorption in addition to potentially supporting cardiovascular health. CoQ10 This Complete Children's Co-Factors ingredient is also used to possibly promote cardiovascular health. In addition&sbquo; however&sbquo; CoQ10 has been implicated by some in potentially increasing energy. This thought persists because CoQ10 is utilized in the production of ATP (adenosine triphosphate). This substance is utilized in the transportation of cellular energy. Alpha-Lipoic Acid Complete Children's Co-Factors features alpha-lipoic acid because it is generally regarded as an antioxidant. An antioxidant is anything that is able to seek out and neutralize free radicals in our body. A free radical is the result of an atom having an unpaired electron&sbquo; which could potentially cause cellular damage. Nutri West provides nutritional supplements to health care professionals in order to optimize their patients&rsquo; well-being. It was founded in 1981 and has expanded into a worldwide company with state-of-the-art&sbquo; environmentally-friendly manufacturing and packaging processes. Its products are hypo-allergenic and have been formulated for the highest quality. These statements have not been evaluated by the Food and Drug Administration (FDA). These products are not meant to diagnoseÃ¢ÂÂ treat or cure any disease or medical condition. Please consult your doctor before starting any exercise or nutritional supplement program or before using these or any product during pregnancy or if you have a serious medical condition. Klaire Labs Immune Support - Biotagen - 120 Vegetarian Capsules. 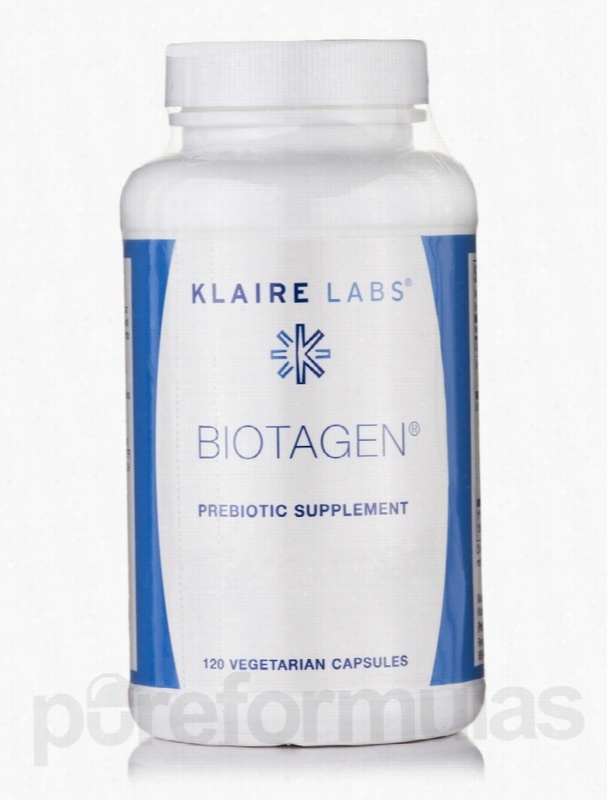 Klaire Labs&rsquo; Biotagen offers an exclusive and effective formulation of easily-absorbed dietary fiber in a Vegetarian capsule. It promotes prebiotic actions&sbquo; which stimulate an increase in the populations of valuable bacteria in the colon; it also enhances the functioning of your immune and digestive systems. The exclusive Biotagen formula blends two extremely beneficial probiotics&sbquo; oligofructose and chicory insulin. Oligofructose is a type of sugar molecule with multiple branches known as oligosaccharides. Oligosaccharides are generally left undigested in the small intestine; the result is that they contribute very little to raising blood glucose levels. They&rsquo;re effectively broken down via fermentation in your large intestine&sbquo; where they&rsquo;re able to positively impact the health of your colon. Chicory inulin&sbquo; meanwhile&sbquo; serves as a high-quality alternate source of inulin. The nutrient assists the body in the production of essential insulin&sbquo; while giving your hard-working pancreas a chance to recover a bit. Biotagen combines probiotics with the immunomodulation (immune response adjustment) effect of larch arabinogalactan&sbquo; along with refined yeast beta-glucan. The upshot of all of this is that there&rsquo;s an increase in the populations of the valuable species responsible for producing the butyrate that inhabit the bowel: bifidobacterium&sbquo; eubacterium&sbquo; and lactobacillus. By not being broken down and avoiding absorption by the small intestine&sbquo; these inulin types of fructans move mostly intact to the colon&sbquo; where they provide fuel for advantageous gut microbiota. This product is suited to those following a vegetarian regimen. Klaire Labs is the best choice for nutritional supplements because it&rsquo;s an industry-leading vitamin and supplement manufacturer. Its products are perfect for those in need of nutritional support&sbquo; but who suffer from sensitivities to environmental factors or serious food allergies. Probiotics from Klaire Labs are free of dairy and gluten&sbquo; and are also hypoallergenic. The vitamins and supplements from Klaire Labs are available in tablet&sbquo; capsule&sbquo; liquid and powder forms. When it comes to ensuring intestinal health&sbquo; Klaire Labs products are second to none. These statements have not been evaluated by the Food and Drug Administration (FDA). These products are not meant to diagnoseÃ¢ÂÂ treat or cure any disease or medical condition. Please consult your doctor before starting any exercise or nutritional supplement program or before using these or any product during pregnancy or if you have a serious medical condition. Progressive Labs Cellular Support - Astaxanthol - 60 Vegetable. Astaxanthin is commonly found in algae as well as certain animals like salmon&sbquo; trout&sbquo; and shrimp. The chemical is a carotenoid&sbquo; which acts as a pigment&sbquo; imparting certain animals with a reddish or pink color. Aside from this&sbquo; asaxanthin is also a natural antioxidant. This means that it's chemical makeup features properties that could eliminate free radicals&sbquo; atoms in your body that have incomplete bonds that result in unpaired electrons. This could potentially amount to help problems as we age. We can acquire astaxanthin through a proper diet consisting of certain seafood like salmon&sbquo; rainbow trout&sbquo; or lobster. However&sbquo; certain living conditions and/or the lack of a proper diet mean that an astaxanthin supplement like Progressive Labs' Astaxanthol might be right for you. In addition to the astaxanthin&sbquo; Astaxanthol is also formulated with Borage Oil Powder. As a plant&sbquo; the flowers&sbquo; leaves&sbquo; and oil of borage are used for medicinal purposes. In ace&sbquo; some studies and initial research suggests that borage oil might be effect in use against certain skin conditions. Borage Oil also features gamma-linolenic acid (GLA). It's possible that gamma-linolenic acid may have some affect in combating inflammatory responses. 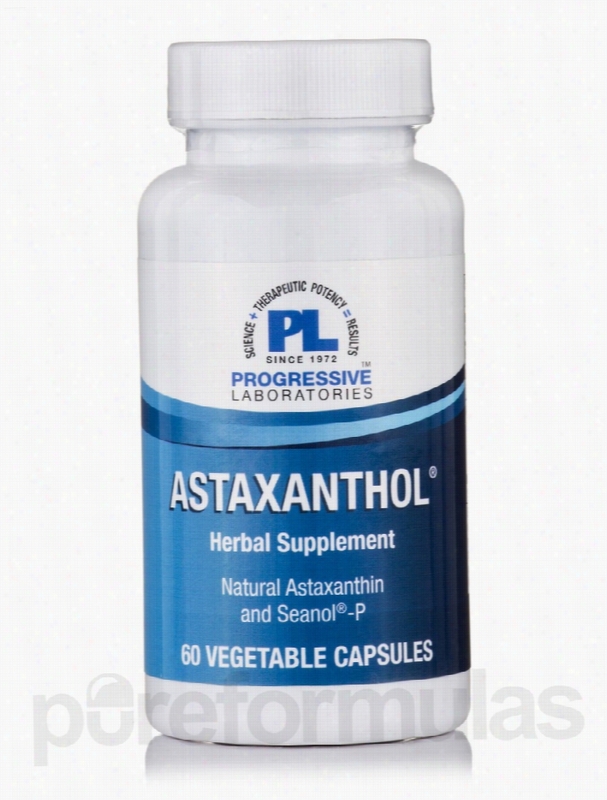 Astaxanthol is also an astaxanthin supplement that contains Seanol&sbquo; a nutritional derivative of brown algae (also referred to as Ecklonia cava extract). Studies suggest that Seanol might feature certain chemicals&sbquo; like astaxanthin&sbquo; that may act as antioxidants. It is also linked with have an anti-inflammatory response. These ingredients have been formulated into Progressive Labs' Astaxanthol to possibly help you improve your health and wellness on a cellular level. Progressive Labs' Astaxanthol ships free from PureFormulas.com Progressive Labs has been a family owned manufacturer and distributor of nutritional supplements for 40 years. Progressive Labs has supplied over 25&sbquo;000 customers with professional grade vitamins&sbquo; Herbals&sbquo; and dietary supplements. These statements have not been evaluated by the Food and Drug Administration (FDA). These products are not meant to diagnoseÃ¢ÂÂ treat or cure any disease or medical condition. Please consult your doctor before starting any exercise or nutritional supplement program or before using these or any product during pregnancy or if you have a serious medical condition. 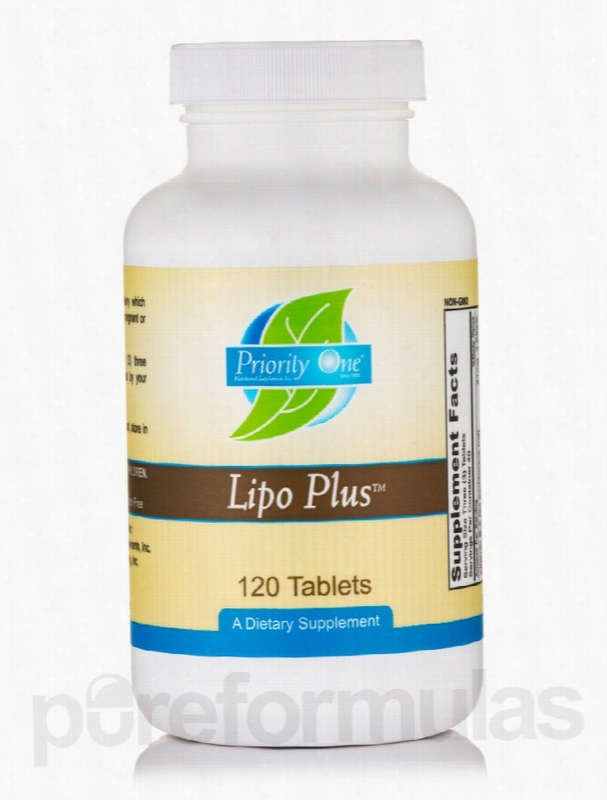 Priority One Detoxification - Lipo Plus - 120 Tablets.